Bahrain Confidential > Articles > Lifestyle > Dining > Celebrate the spirit of togetherness at The K! Celebrate the spirit of togetherness at The K! A long day of fasting meets a befitting conclusion at this venue with a variety of authentic regional treats. 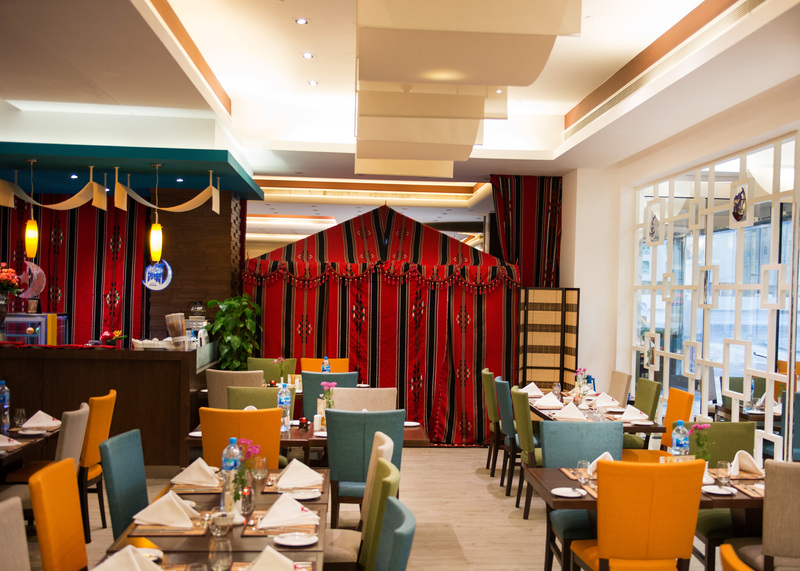 The KOLORS Restaurant at The K Hotel, offers a lavish Iftar buffet comprising of traditional dishes along with Ramadan delicacies from across the region. Bahraini Ouzi , tabouleh, hammous, machbous, chicken molokhia, lamb tagine and koftabil laban are some of the treats on offer. The dessert buffet will be packed with a variety of items to tantalize your taste buds and provide a fitting end to your meal. 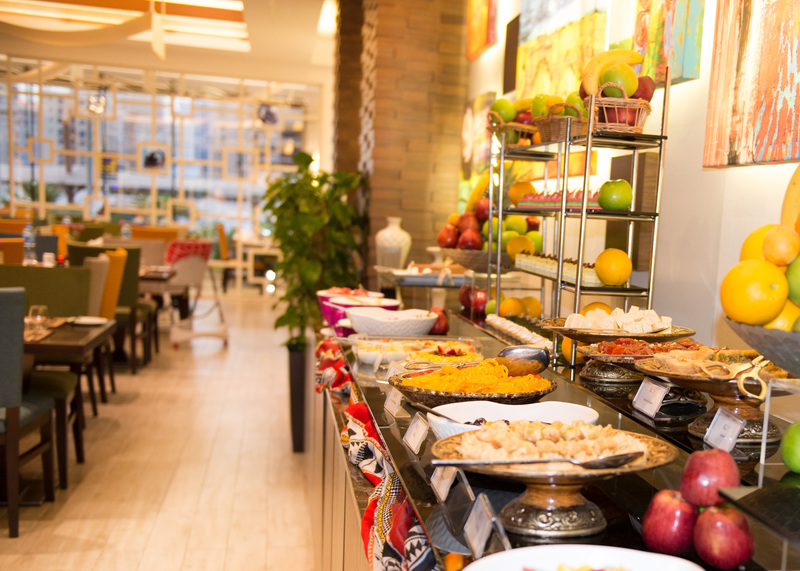 Choose from or try all, the oriental delicacies including Um Ali, assorted baklava, kunafa and kallaj Ramadan. The sundown buffet can be enjoyed from sunset up to 8.30pm for BD9.9++ per person. This offer includes Ramadan juices, coffee and tea, as per your choice. Children aged 7 to 12 years eat at half price and those aged 6 and below dine for free. The excitement does not stop here; each guest will be entered into a raffle draw to win a one-night stay at The K Hotel, do not forget to drop your business card in a bowl near the counter or fill out the guest satisfaction questionnaire. Winners will be announced at the end of every weekend, follow us on our social network. Groups and Corporate clientele can take advantage of our exceptional offers on banquet events, which include a fantastic menu with a complimentary venue at The K Hotel, as well as an outdoor catering service for all occasions. Additionally, the hotel food and beverage culinary team provides decorating services for special events and gatherings. It can be customised to suit individual needs of the customer, thus helping you to create a memorable experience. It may be new on the scene, but KOLORS restaurant has already made an impression in the surrounding. If you want a change from your usual lunch and dinner haunts, then head here over Eid day, where KOLORS restaurant will be serving the lavish Eid Lunch Buffet for BD 8.5++ per person from 12.30pm-4:00pm; and dinner buffet for BD 10.5++ per person from 7:00pm-11:00pm including a variety of live cooking stations and sweet Eid delights, save some room for that with our Executive Chef’s Specials. Children aged 6 years and below eat for free; and 7 to 12 years dine at 50 percent off. Stay connected and share your experience at The K, with free access to the “Fast Zone” (high-speed Wi-Fi connection)!